There are lots of methods of getting a new job. However, the most important pre-requisite is that you have your eyes open when searching for a job. It seems simple, doesn’t it? Nevertheless, it is by far not such a matter of course. In the end, you must always rely chiefly on yourself because only you know what you want to be and what will bring you satisfaction and enjoyment. If you are not absolutely sure, you may find a couple of tips on how to find it out in an article called What Do I Really Want to Do?. However, don’t be afraid to seize each opportunity that you meet, which is at least a little bit as you have imagined. Perhaps you will be nicely surprised. After all, you may always leave if you are not satisfied. Looking for a job through the Internet is currently a very wide-spread method. You will find tens of Internet servers enabling employers to post advertisements and procuring jobs to applicants. This service is mostly free of charge. The search for a required position is fast, very easy and comfortable. However, a lot of other people have realized this besides you; therefore, you must take into account that in some cases, the HR worker will receive several tens of CVs to apply for just one position. Therefore, you will really have to try hard to make your CV interesting for him/her. You may read about how to write a good CV in this article. 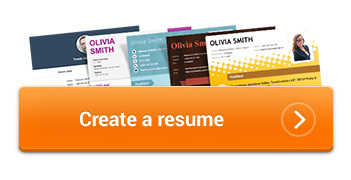 Or you may have a professional CV generated without any mistakes easily and quickly here. However, some HR workers don’t use the advertising servers precisely due to their above-mentioned qualities, which seem to be positive to the job-seekers. Such HR workers rely on the fact that if a job-seeker is interested in a position, he/she will get to it in another way than by being served such a position on a silver platter. Therefore, do not hesitate and read the Career tabs in the websites of concrete companies. What should you be careful about when looking for a job on the Internet? Other employers see it differently. They know that there are a lot of people moving about the Internet advertising servers and offer a job that not many people want to do voluntarily under the disguise of a respectable job. In such a case, don’t be surprised that instead of the job of a beautician you will get the job of a peddler selling dubious plant preparations. You need not rely only on the Internet. A lot of HR workers and operating managers will appreciate if you come directly to the place where you want to apply for a job, holding your CV in your hand and with the appropriate amount of self-confidence to directly "carry away" the position. On the one hand, you may impress the employer by your motivation and willingness to do something to get a job; on the other hand, it will be difficult for many of them to refuse you without having heard you. Thus, you will get a chance to defend your professional CV directly, to show your potential and to say why you are just the right person for them. Moreover, you may excite the HR worker so much that the company will create a job for you although it had not been looking for anyone originally. Companies with a large number of employees often hire external recruitment agencies. You may register with such agencies or search the advertisements posted by them. However, don’t forget that recruitment agencies don’t work free of charge. And if they are not paid by the employer, they will take their profit margin from you. Nowadays, a trend called headhunting is on the rise among recruitment agencies. An HR worker, the so-called head-hunter, looks for people who are potentially suitable for the offered position through the Internet or networking. Therefore, don’t resist the creation of profiles in social networks, which are riddled with such people. When talking about networking – it is really one of the most efficient ways of looking for a job. If you know somebody who may help you reach your dream position, meet him/her and discuss the job. There is nothing better than a chance, so if you have an opportunity to discuss work with anybody, describe in detail where you would like to work and why, what you may offer, and similar things; in short, try to sell yourself. To anyone, not only the person "buying" you at the end. You never know where the person you are talking to will mention you. You may read more on what networking is, how to work with it and what to be careful about in an article called Looking for a Job through Friends.